Last week, the Tom Lantos Human Rights Commission held a briefing on human rights issues in Bangladesh, including child labor and child marriage. Laura Bramon, a Senior Program Manager for Child Protection and Education at World Vision, was there to discuss the main human rights issues facing children in particular, as well as the importance of effective protection strategies to combat practices like child labor and child marriage. Her goal was to provide a picture of how community-based child protection strategies are making a big difference in these areas! In Bangladesh, we work in some of the country’s most impoverished communities. Our work with children, families, the government, and faith leaders is amplified by national-level advocacy work to stop violence against children—in homes, schools, and workplaces. To end violence against children, it takes all of these levels of society working together. “Our model of building trust and raising voices from the community to the national level is the most effective way to bring about positive changes for children’s well-being,” says Steve Reynolds, Advocacy Mobilization Director at World Vision U.S.
An estimated 1.2 million Bangladeshi children are exploited in the worst forms of child labor. But World Vision’s privately-funded multi-million-dollar child labor project in Bangladesh has supported the withdrawal of nearly 300 children from child labor! The project prepares them to start or re-enter formal education and improves their families’ income generation opportunities. Since 2015, World Vision, together with the World Food Program (WFP) and other partners, has implemented a USAID Food for Peace project called Nobo Jatra, or New Beginning. Nobo Jatra implements its child marriage work through a male engagement module where fathers are encouraged to support their daughters’ education and wait until they are at least 18 to consider a consensual marriage. Child Protection Committees hold fathers accountable and stand ready to help at-risk girls. These combined efforts have resulted in the prevention of 162 cases of child marriage! You can help these program’s goals be accomplished. As the U.S. government to support the Department of Labor’s Bureau of International Labor Affairs, or ILAB. Since its inception, ILAB has contributed to the global effort that cut child labor in half, and it continues to be a key partner in ending violence against children. 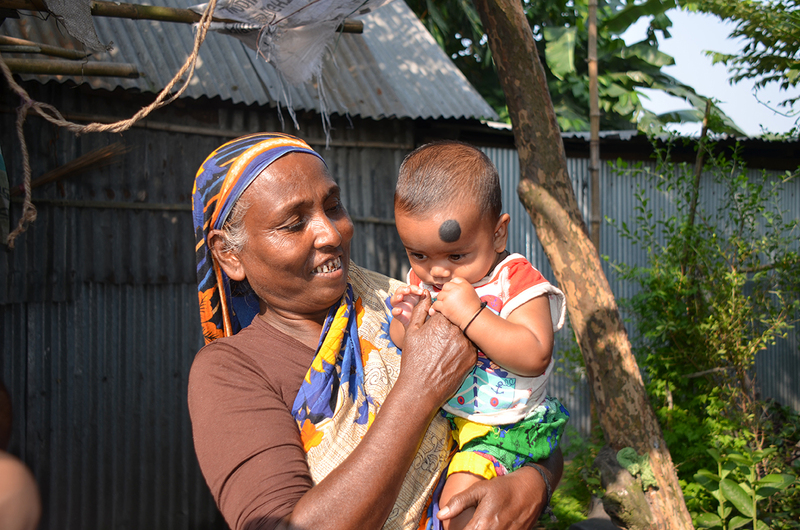 Photo: A World Vision-sponsored child, Boishaki, and his mother live in a small hut at Churipatti, an old slum in Rangpur city in the northern part of Bangladesh. ©2018 World Vision, Lipy Mary Rodrigues. ← Gender inequality: What are WEEE doing about it?